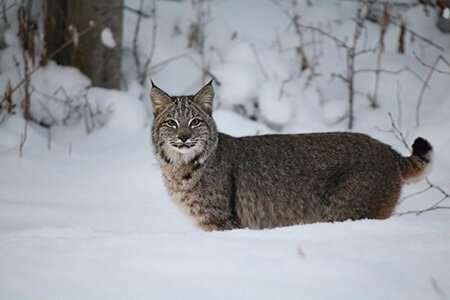 Their recently published study explains how hard it can be when it comes to wildlife classification—even experts have difficulty agreeing on whether a cat in a picture is a bobcat or a lynx. "Camera-trapping and citizen-science studies collect many wildlife images for which correct species classification is crucial," says Gooliaff. "Even low misclassification rates can result in erroneous estimation of the geographic range or habitat use of a species—including underestimation of the occupancy, habitat preferences or distribution of a species. This potentially hinders conservation and management efforts." What became clear was that the experts found it difficult to tell bobcats and lynx apart—indeed, many images were labelled as "unknown" by the experts—and they did not always agree with each other. Experts were inconsistent even with themselves, changing their classifications of some images when they were asked to reclassify the same pictures months later.